The RDF-75 is the newest addition to Crisafulli's dredge fleet. 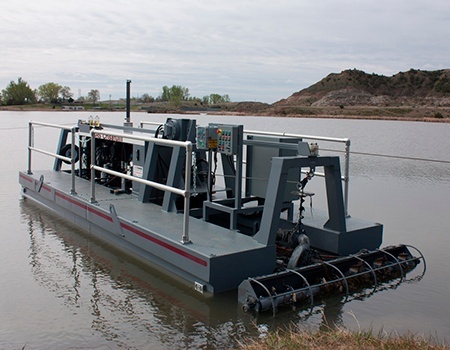 The diesel engine makes it a perfect dredge for when you don't have access to adequate power to run an electric FLUMP, and want to operate the dredge remotely. 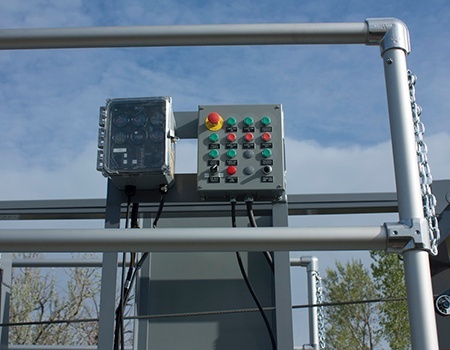 The RDF-75 solves industrial and municipal environmental problem in a low-cost, efficient manner. The RDF-75 removes settled wastes and other by-products that no longer may be scattered over the countryside, but, instead, must be contained in settling ponds or lagoons, built to prevent wastes from leaching into the water-table. 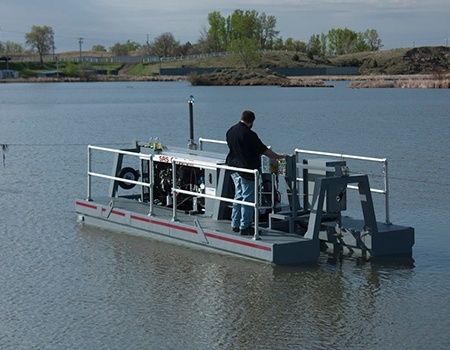 Built tough to ensure dependable service in harsh environments, The RDF-75 is simple to operate, easy to transport and can be built with HDPE pontoons, or in steel or aluminium. Crisafulli’s specialists have solved liquid waste problems for more than thirty years. Call us for standard applications -- or when no standard product will solve your problem. We will work with you to produce a Crisafulli Sludge Removal System that meets the specific requirements of your application. Use the RDF-75 to clean your pond or lagoon of sludge, sediment, biosolids or residuals. The dredge operator isn’t exposed to potentially hazardous dredged materials. 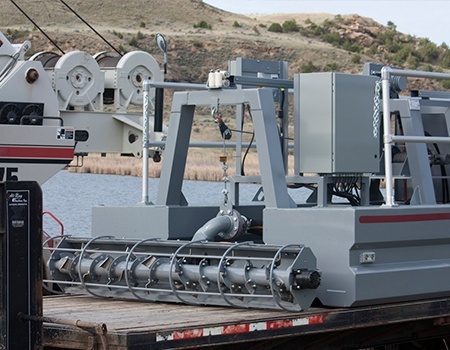 Sophisticated instrumentation options measure dredging performance. Dredge Rentals Many domestic and Canadian customers rent Crisafulli’s Rotomite and FLUMP dredges on short-term leases, and, after becoming familiar with the productive capabilities of the dredges, buy them.